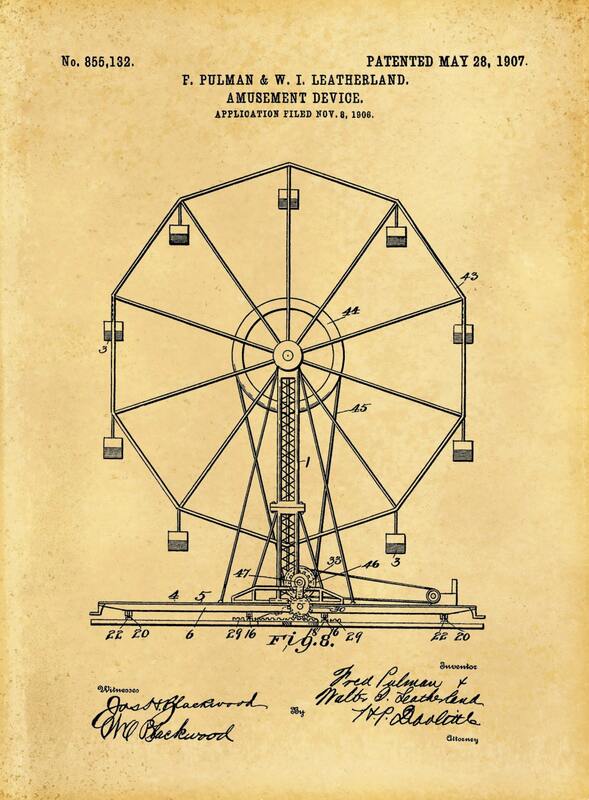 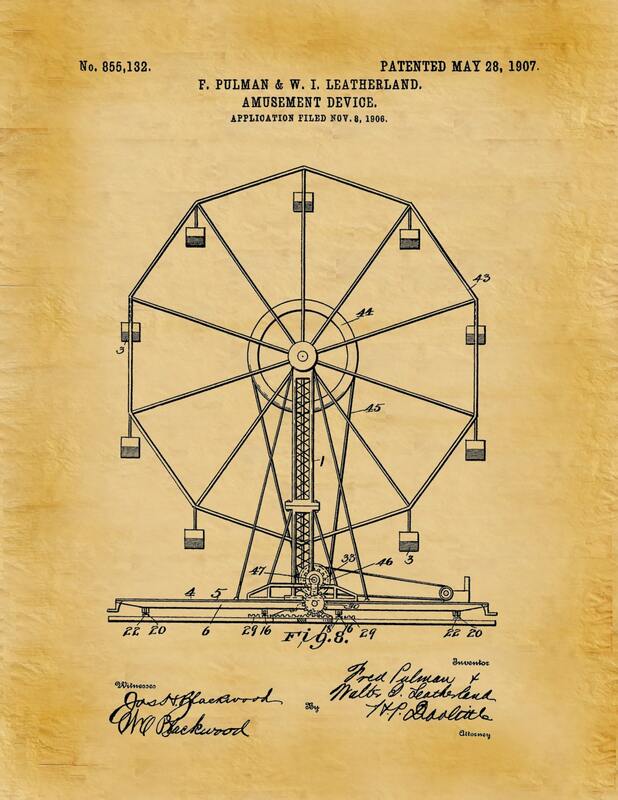 1907 Ferris Wheel Patent designed by Fred Pulman and Walter Leatherland. 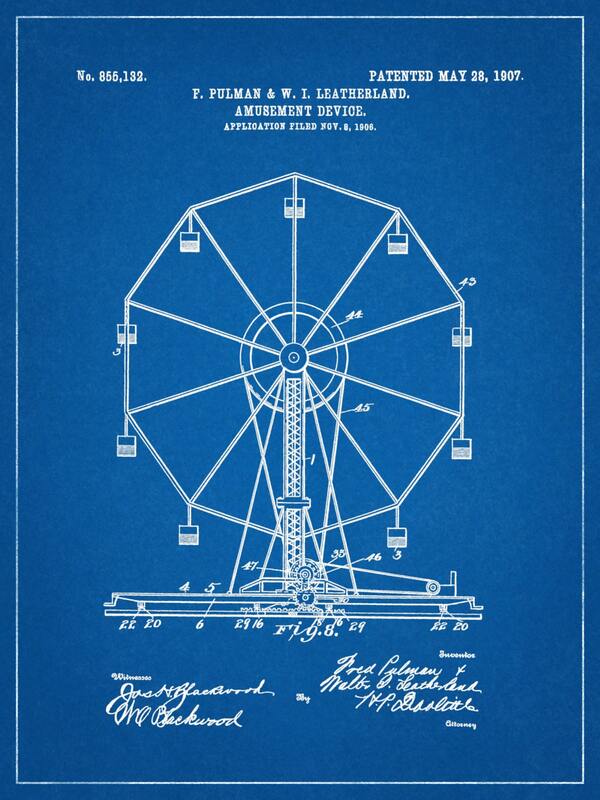 The patent was issued by the United States Patent Office on May 28, 1907. It arrived very quickly and well packaged. 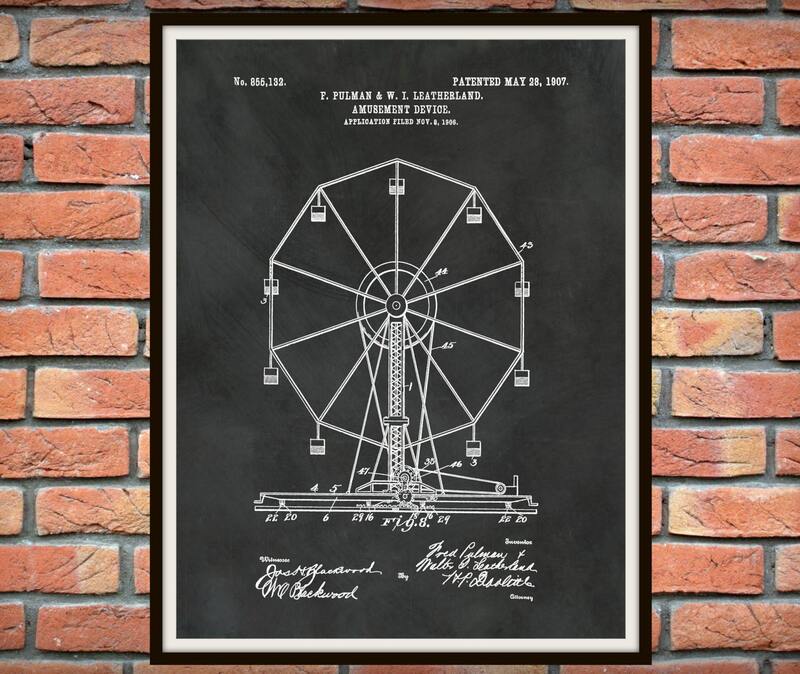 It's very beautiful and I can't wait to get it on the wall.